Apple's virtual assistant Siri has fallen behind Google Assistant and Amazon's Alexa. Earlier this month, some former Apple employees said that the company's vision for Siri died along with Steve Jobs. Ironically, Jobs passed away on October 5th, 2011, which was the day after the first iPhone with Siri was unveiled. That, of course, was the Apple iPhone 4s. While Siri has been improved over the years, the virtual helper is not as reliable on Apple's HomePod smart speaker as Google Assistant and Alexa are anchoring the Google Home and Amazon Echo smart speakers, respectively. 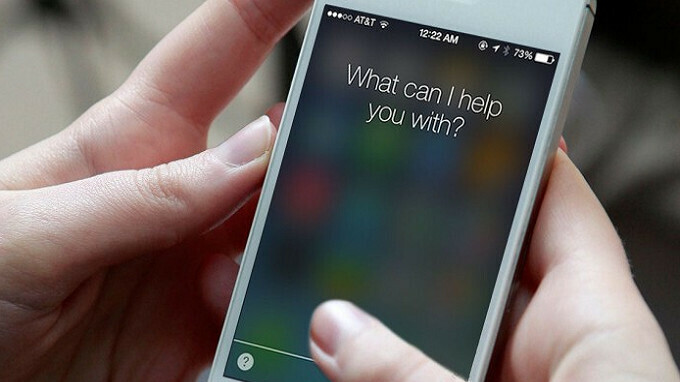 According to a report published yesterday, Apple seems aware that Siri has fallen behind the competition. Hiring data tracked by Thinknum shows that Apple is increasing the number of job openings related to the virtual assistant. A record 161 job related listings containing Siri's name were posted as of March 30th. In one month, the number of such listings rose by 24%. Year-over-year, the increase is 96%. In addition, 154 of the 161 openings are for a "software engineer." There are five openings that are titled "Siri - Software Engineer," and three of those job openings are repeated with a title that reads "Siri - iOS Engineer." The remaining listings seek to fill positions such as Infrastructure Engineers, Machine Learning Engineers and Natural Language Processing (NLP) Engineers. With Google Assistant handling over 1 million actions and Alexa offering users more than 25,000 skills, Siri seems to lag behind the pair when it comes to the tasks that she can easily handle. Siri also has difficulties passing along information to users. In a recent study, Google Assistant led Alexa, Cortana and Siri in handling requests related to five categories: Local, Navigation, Commerce, Information and Command. Siri finished last in the latter three subject matters. Obviously, Apple strongly believes that Siri needs to be reprogrammed to increase the number of actions that the virtual assistant can handle. At the same time, Apple apparently plans on improving the ability of its virtual assistant to be more conversational, while hiking Siri's IQ so that she can compete on the same level achieved by Google Assistant and Alexa. Burn it down and start over. The only way you can possibly get this thing on parity to even Bixby. Samsung is the man! Period. Samsung Pay Bixby Displays S Pen Connectivity Features Newest tech components Design and so on, innovation. Alexa isn't better Siri. It doesn't even understand follow-up questions well. Alexa is better than Siri for sure. It understands my follow-up questions better than Siri and that's for sure. Wait... Wait!! Isn't it April-Fool's Day, yet? Siri being made.. SMARTER??? HAhahaahahAHahaaa!!! Do you know people that are actually using personal assistants?! I don't use assistants myself but i know a lot of people that do.